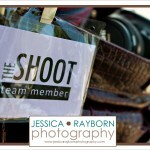 Yesterday’s Shoot Event was a huge success! Thanks again to all of those who came out for a session, donated money or volunteered their time on Sunday. With help from Project Go, we were able to raise over $1,200 for our local family.